I promised you something to do with the lemon curd that you might have left over, didn’t I? Well, I delivered. In a big way. 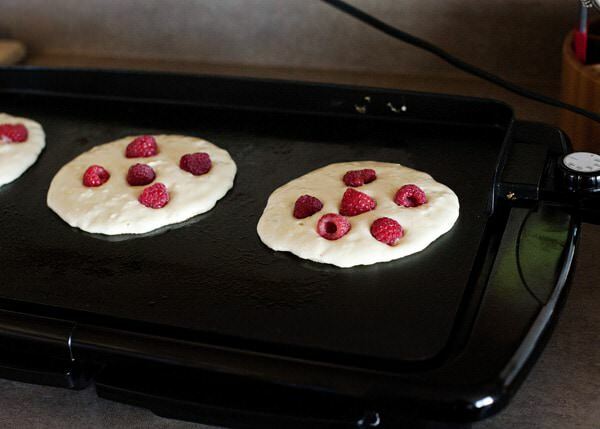 These lemon raspberry pancakes exceeded my expectations when I made them over the weekend. People ask me all the time, “where do you get ideas for your recipes?” Well, all over the place. Magazines, blogs, cookbooks, Pinterest, and things that I eat when I am out and about. I had pancakes similar to these last year at a place called Orphan in Sacramento. I snapped a picture with my phone, and took a few notes. These pancakes are obviously not the exact recipe from the restaurant, but were inspired by that meal. Take the parts that you love (lemon curd in between the layers), and try to make your own version. I always keep a notebook in my purse for reasons just like this. You never know when or where you are going to get a good idea. Take it from me, it is easier to take a notebook along with you than trying to decipher a recipe that you scribbled on the back of a crumbled Target receipt. 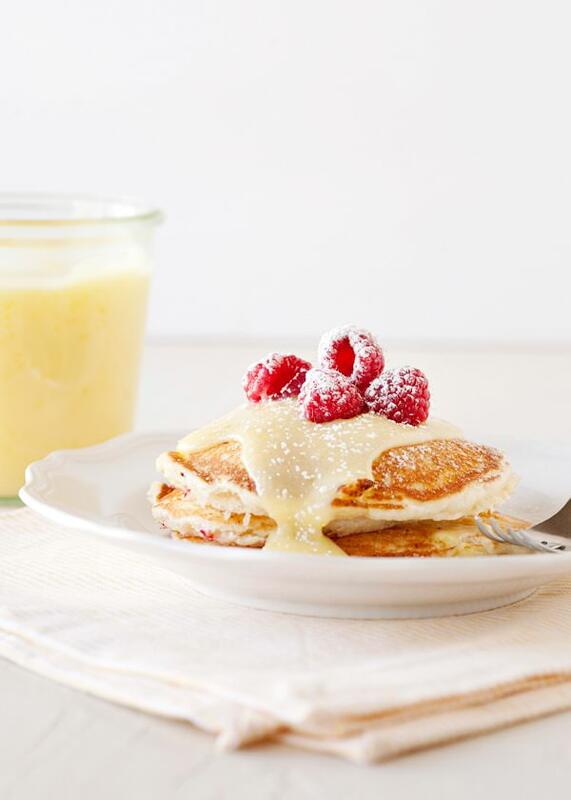 These pancakes are packed full of lemon flavor. Zest and juice in the batter, and lemon curd slathered in between each layer. Blueberries would also be good in this recipe, but I had raspberries that needed to be eaten. And eaten they were. And Happy Birthday to my littlest baby, Clay. I am not sure how you are 4 years old already, I am pretty sure it was last week that you made a very dramatic entrance into the world, but the last 4 years with you have been full of love and laughter. I love being your mama. 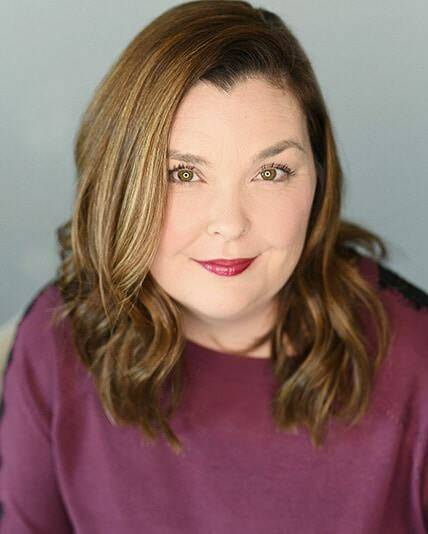 There is still time to register for the online class that Stacey Woods and I are teaching. Photography: Chapter One begins on Monday, and we could not be more excited! We hope that you will join us. Mix until everything is just combined. 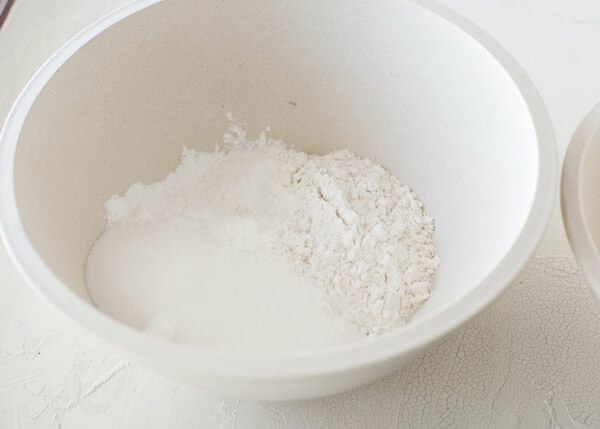 If the batter is too thick, add a little more milk to thin it out. What a little cutie you have there. 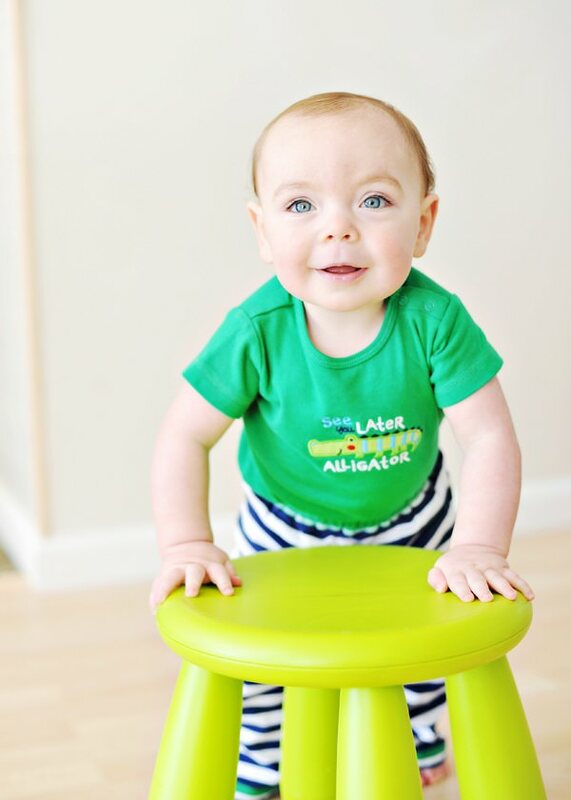 He is just precious! 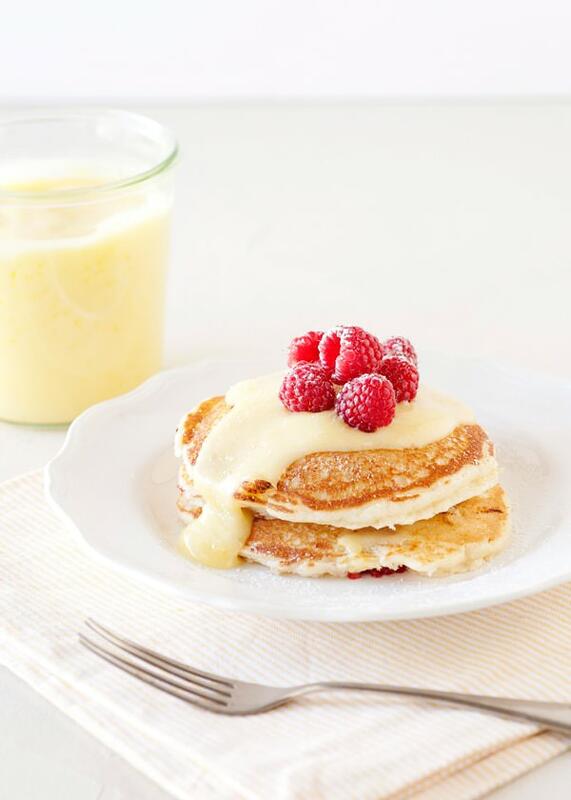 And these pancakes look like the most perfect use of leftover lemon curd. If I ever HAD leftover lemon curd. : ) Perhaps another batch is in order, just to make these. Thank you Stacy, he is a love. 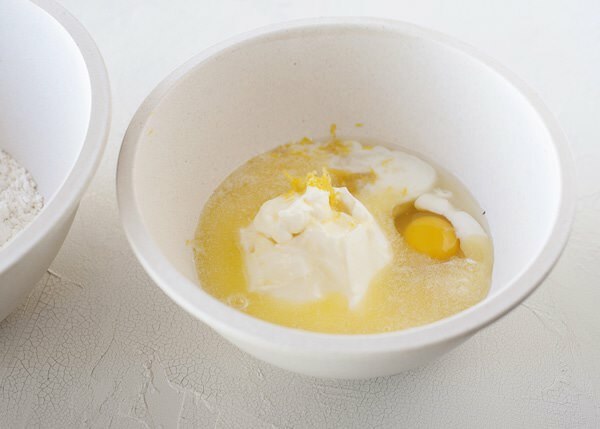 Lemon curd, STAT, you NEED to make these. Getting right on that! Where I live, Saturday is the new Sunday! (Our weekend is Friday/Saturday.) It takes some getting used to but I am working on it! I used to always work weekends, I know what you mean! I am so excited to have you in it! Oh these look delicious….i skipped breakfast this morning so these pictures are making my stomach growl! All my favorite flavors! That last shot is stunning! Me too Laurie! I love lemon (obvi), but I love it with raspberry even more. I’m a big pancake person and your recipe just takes the cake to the next level! Lemon curd on a pancake is the best idea I’ve heard all day. SOLD! Your baby is a DOLL! These pancakes look amazing! Thank you Bree! It is hard for me to believe that he is 4 now! They grow up way too quickly! Me too! These are not the same recipe, but inspired by. I hope that you like them! Do you think I could use buttermilk in place of the sour cream? I know it’s silly but I really don’t like sour cream and knowing I baked with it, makes it harder for me to enjoy. The funny part is if you made them and I didn’t know the recipe I probably wouldn’t even notice. Not silly at all. I am beyond weird about mayo, so I totally get it. I would use my buttermilk pancake recipe and add the juice and zest to that. 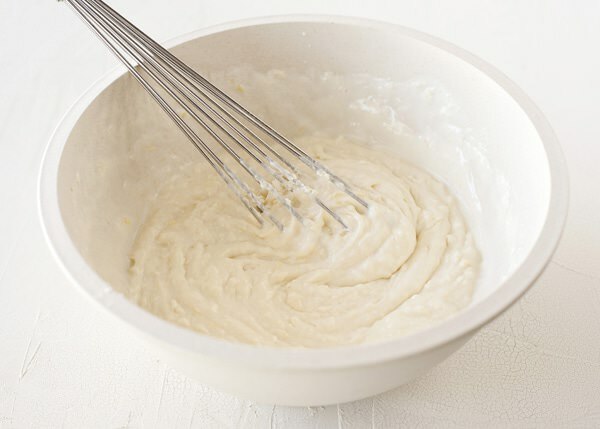 This batter is thick because of the sour cream, and I think that it might be too thin if you used buttermilk. 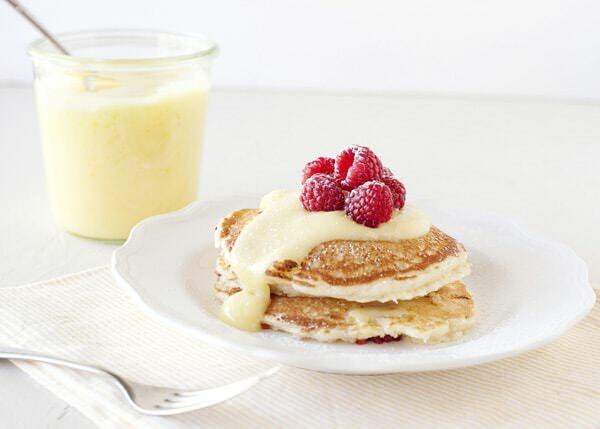 These pancakes look so light and fluffy! 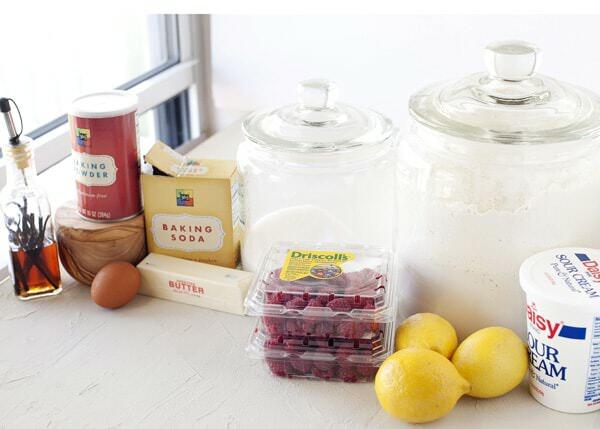 I love the idea of raspberries and lemon together. Thank you Becca! It is one of my favorite combinations. 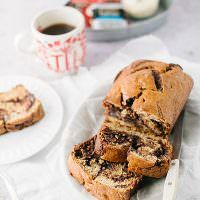 Another amazing recipe Bree; I love this! I am looking forward to making the lemon curd now I better get making that sooner because I can’t wait to make these pancakes. Happy Birthday to Clay; such a sweet picture. Thank you Jennifer! These pancakes are special occasion, but worth the calories and effort. LOL. You sound like a girl after my own heart. I love the idea of using lemon curd instead of maple syrup! Me too! Even though these are not light by any means, they do not feel heavy. The lemon curd makes it. I don’t usually make pancakes, but yours look too good to pass up on and makes a fantastic dessert! Happy Birthday to your little one! He’s a real cutie! Me too Katie! I hope that he likes them. Mandy, I think that you are on to something! Those sound so delicious! They would be just perfect for Mother’s Day brunch coming up! How pretty! I bet the tanginess of the lemon and the raspberries work a treat. Thank you Jacqueline! They really are a treat, but well worth it. Mouth watering…what is the creamy looking syrup you poured on top? It looks delish! Is that your lemon curd? I’ve only ever seen jelly like curd…where can I find that recipe?? Yum. You will love this breakfast. Hi there. We are a once a week pancake family and these are just about the best I’ve ever made. Certainly the fluffiest! What aspect of it do you think makes them so fluffy? I want to think the sour cream has something to do with it, its the only part I’ve never tried in a pancake before. I am asking because it would be great to convert this to a master recipe. Also, I made them with Pamela’s GF artisan flour blend and it turned out great. Thanks – I will definitely be following your posts from now on! I think that it is probably the sour cream and I would try it with more milk and take out the lemon juice. If it doesn’t lift enough, add a little lemon juice.